Michael I just had a terrifying, alarming experience at my local library in Pleasant Hill MO. I went in to get the Librarian to run off two copies of your article about the gap between the rich and poor being so great now and the Librarian couldn’t get on endoftheamericandream because your website is considered a “radical opinion” website by Homeland Security Administration and the Library!!!!!!!!!!!! She said that is according to the “filter” the Library uses. TALK ABOUT CENSORSHIP AND BOOK BURNING!!! So I couldn’t get the copies made. I have been hearing about how the internet is censoring, shadowbanning, and unsubscribing people from Conservative websites and NOW I BELIEVE IT!!!! I experienced it first hand. WOW! I thought I should let you know. Truly, we are living in Orwellian times! Why in the world would they want to censor me? The only “radical opinions” that I have are the exact same ones that conservatives, Christians and patriots have had ever since this country began. Unfortunately, those opinions are now considered “radical” because of how far this nation has shifted in recent years. If our founders were around today, they would definitely be on the Internet, and without a doubt they would be getting censored too. The next time that you are at the library, I encourage you to check if you can get to EndOfTheAmericanDream.com on a computer there. I would love to get a feel for how widespread this is around the United States. Obviously if one library is using this filtering program, it is inevitable that many others will be using it as well. 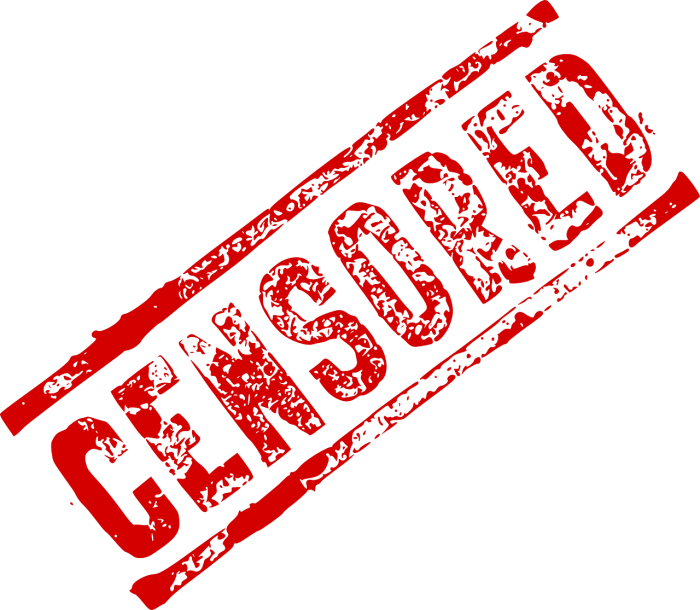 In 2018, we have seen an unprecedented effort to censor conservatives. YouTube has shut down hundreds of alternative voices, Facebook has been taking down hundreds of pages, and Twitter has been so aggressive with shadowbanning that members of Congress are up in arms about it. Extremely big names such as Alex Jones and Mike Adams are under relentless assault right now, and as you can see from this article, they are coming after the little guys too. From my home up in the mountains, each day I just try to do my best to inform my readers about what is going on in the world. I do not hate anyone, and there is certainly nothing in my writing that would ever justify being censored by a public library. But this is what happens when you challenge the liberal orthodoxy of the day. They do not believe in freedom of speech, and they certainly do not believe in open debate. All throughout history, anywhere that we have seen leftists take control speech is systematically suppressed. They just can’t seem to help themselves. Just look at what is happening all around the country right now. In Hollywood, on college campuses and on the Internet speech is being suppressed to a degree that we haven’t seen before. Before the Internet, the elite truly were gatekeepers when it came to the flow of information. They owned the television networks, the radio stations, the newspapers and the publishing houses. If you wanted to get your message out, you had to go through them. But then along came the Internet, and it gave ordinary people like us the power to communicate with one another on a massive scale without going through the gatekeepers. It was a major game changer, and now they are trying to put the genie back in the bottle. Those on the left can say some of the most horrible things imaginable and completely get away with it. Sarah Jeong is a perfect example of this. Her vile, racist rants on Twitter are absolutely horrifying, but the New York Times decided that she would be just perfect for their editorial board. Meanwhile, those of us in the alternative media are just trying to respectfully exercise our freedom of speech, and the crackdown on us has been relentless. We truly are in an information war, and the other side is not playing fair. Please remember to support those in the free and independent media, because the mainstream media and the big tech companies are doing their best to shut us down, but we are not going to let them win. Next articleEarth Changes Accelerate: What Is Causing These Record Heatwaves, Massive “Firenadoes”, Giant Dust Storms And Large Earthquakes?